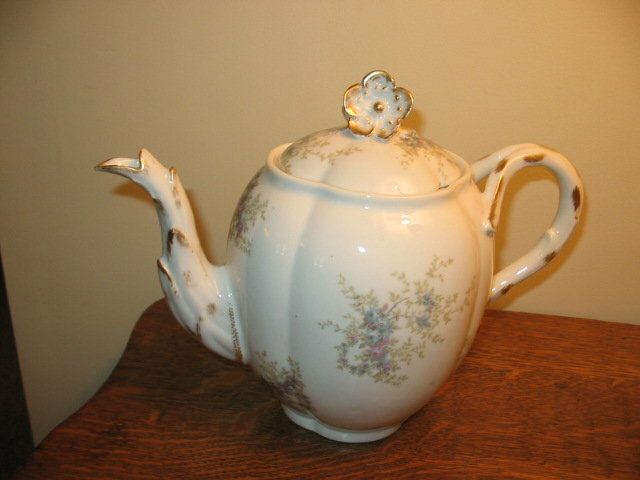 HERE IS A STUNNING LIMOGES TEAPOT IN REMARKABLE CONDITION FROM THE 1800'S. 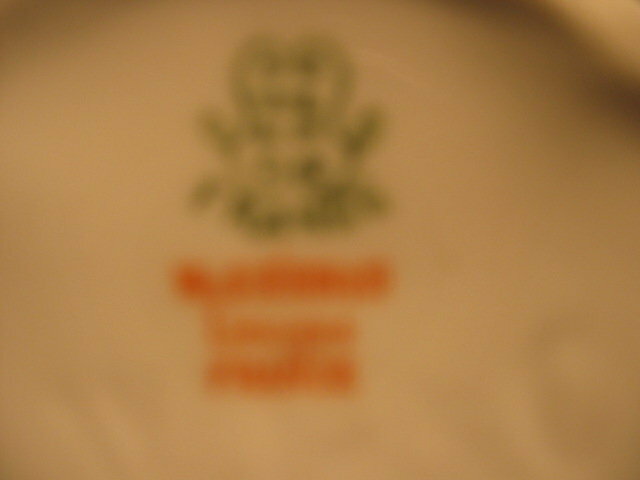 IT WAS FACTORY DECORATED BY A STUDIO ARTIST OF THE WM. GUERIN CO. AND FEATURES DELICATE BLUE AND LAVENDAR FLOWERS WITH INTRICATELY PAINTED GOLD GILDING ON THE HANDLE, SPOUT AND FINIAL. 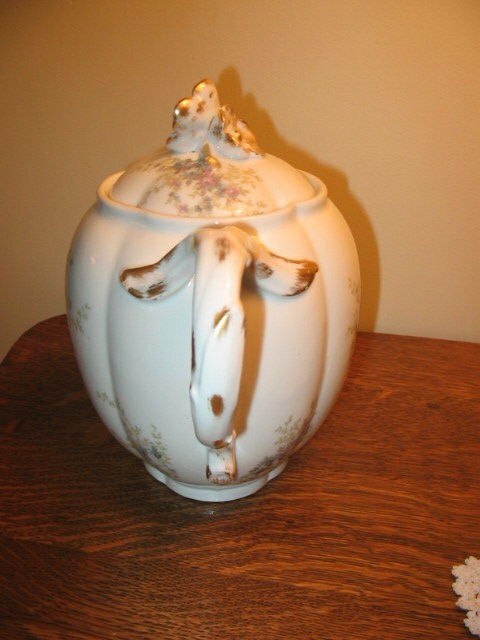 IT MEASURES 8" TALL TO THE TOP OF THE FINIAL AND IS 10.5" WIDE HANDLE TO SPOUT. NO CHIPS, CRACKS, HAIRLINES OR REPAIRS AND ALL THE GOLD GILDING IS INTACT. WM. GUERIN MARK 2 (1890-1900) IN GREEN UNDERGLAZE AND GUERIN MARK 4 IN RED OVERGLAZE. GORGEOUS! 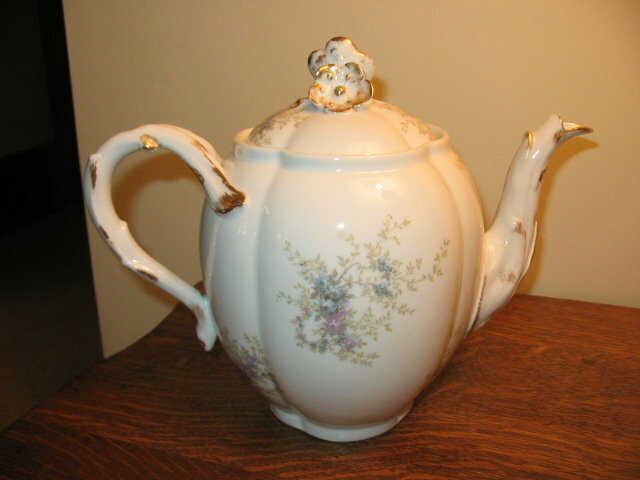 Items Similar To "EARLY GUERIN LIMOGES TEAPOT"